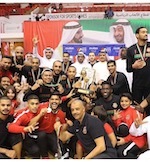 Al-Ahli celebrated UAE League Basketball 2017/18 title beating Al-Nasr in the Final series. In game 1 they posted a 103-86 win as they controlled the entire game. 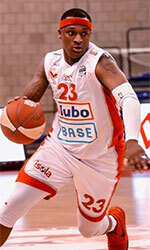 In game 2 Al-Ahli sealed an 89-83 victory as the last period ended up with 19-18 rally. Qais Alshabebi (200-C-91) scored 23 points and Mohammed Abdullatif delivered 15. Sani Sakakini (204-C-88) produced 14 points in the winning effort.